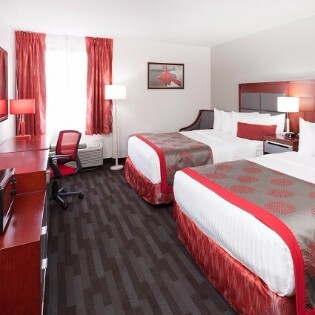 The Ramada Plaza Chicago North Shore offers non-smoking guest room with sitting area complete with 1 King bed and includes kitchen supplies, mini-refrigerator, refrigerator, and coffee/tea maker. 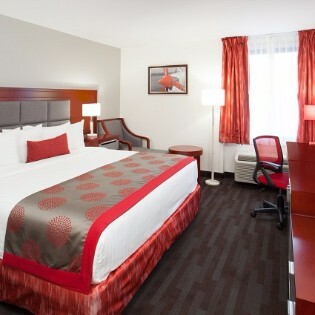 Stream your favorite programs with free Broadband or watch in-room movies and shows on a flat-screen HDTV. 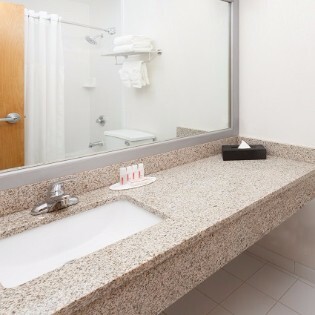 Air conditioning, in-room safe, work desk and ergo chair, iron/ironing board, and hairdryer ensure comfort throughout your stay.